mary jane, tea, boo, etc. Pamela Lloyd, Executive Editor of High Times, explores the fascinating world of pot: the history and chemistry of Cannabis sativa, the myriad ways in which it's used, its physical and psychological effects, the pleasures and perils of the mysterious plant that's been called everything from "a gift of the gods" to "the killer weed." 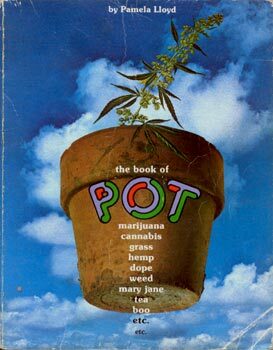 Lively, informative, thought-provoking, and lavishly illustrated with black-and-white photographs, The Book of Pot is a trip for the mind and a delight for the eye.